Click on the thumbnails to cycle through the illustrations. We’re happy to showcase to you another project we did with Dr. Oparka. 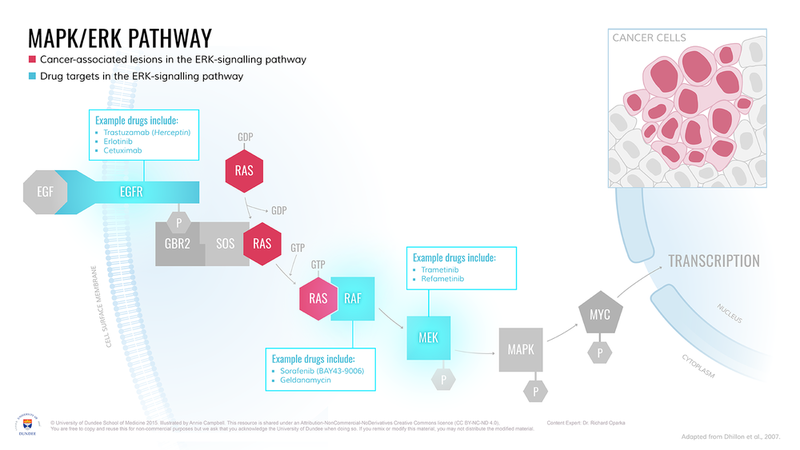 Earlier on this summer he needed some clean and simple visuals to include as part of his teaching series on cancer signalling pathways. If you’re not familiar with these pathways, they can be very complex and can be a bit overwhelming for a first year student. Dr. Oparka felt that the visuals he was using and those available online were a bit too complex. He was looking for something more simplified to introduce to his first year medical students. 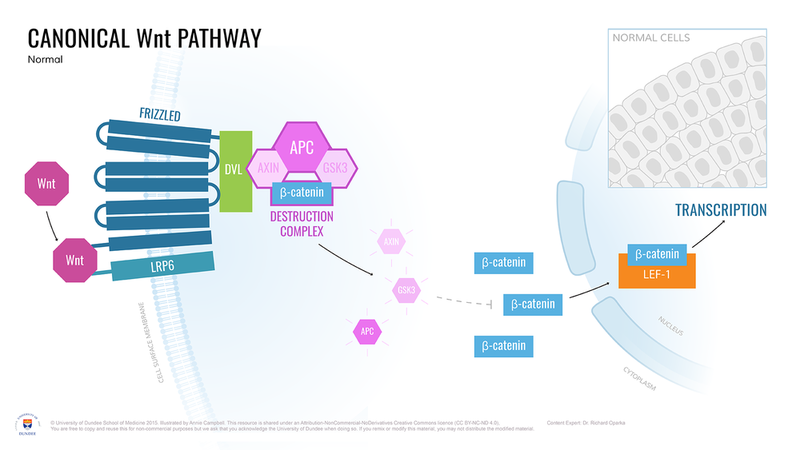 We produced a series of illustrations where he could show visual comparisons of the normal pathways and what happens when those pathways are affected in cancer. A clean visual treatment was given to the illustrations. Included were colours that not only tied the illustrations together but individualise each element within a layout so that they can be easily reference during a presentation. 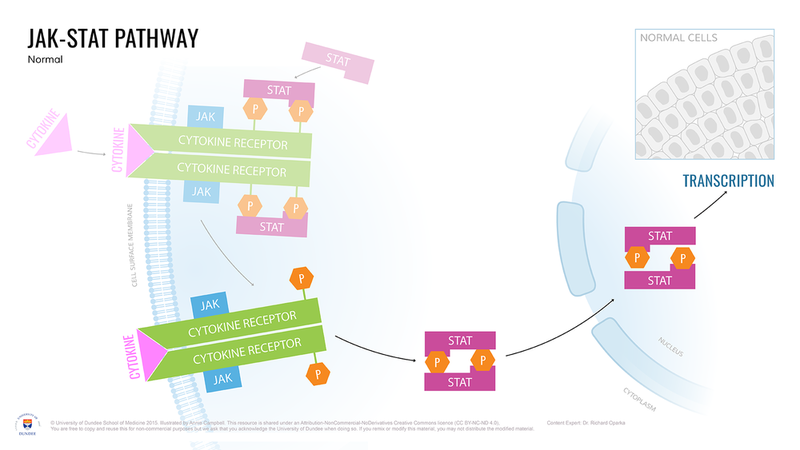 In this pathway, Dr. Oparka wanted to showcase the normal pathway before highlighting the proteins that are affected in various forms of cancer. 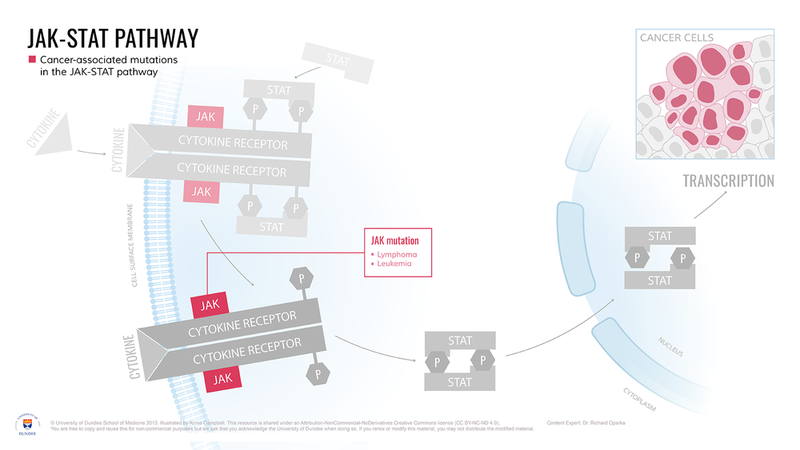 He then wanted to build upon this information for his students to show where the drug targets for this pathway would be. This is where 3 separated illustrations where useful so that he could walk the students through his presentation by introducing the characters before showing where things can go wrong and end with treatment opportunities. 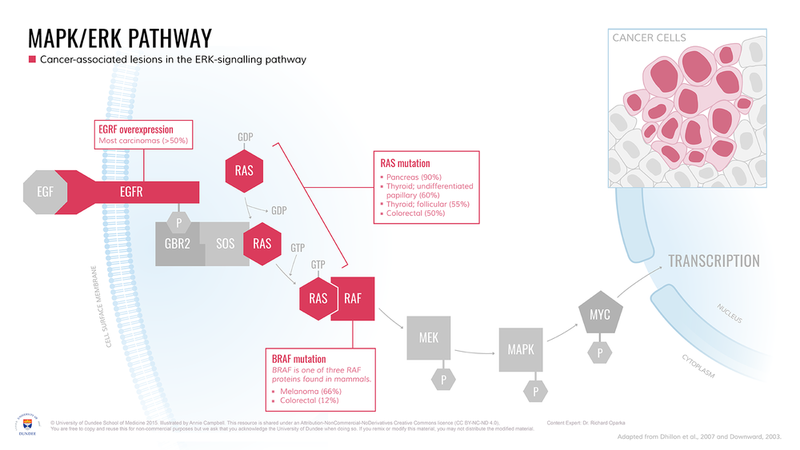 For this pathway Dr. Oparka only wanted to highlight the cancer targets. As you can see the same highlight treatment for these targets was implemented, a quick visual cue for his student audience.